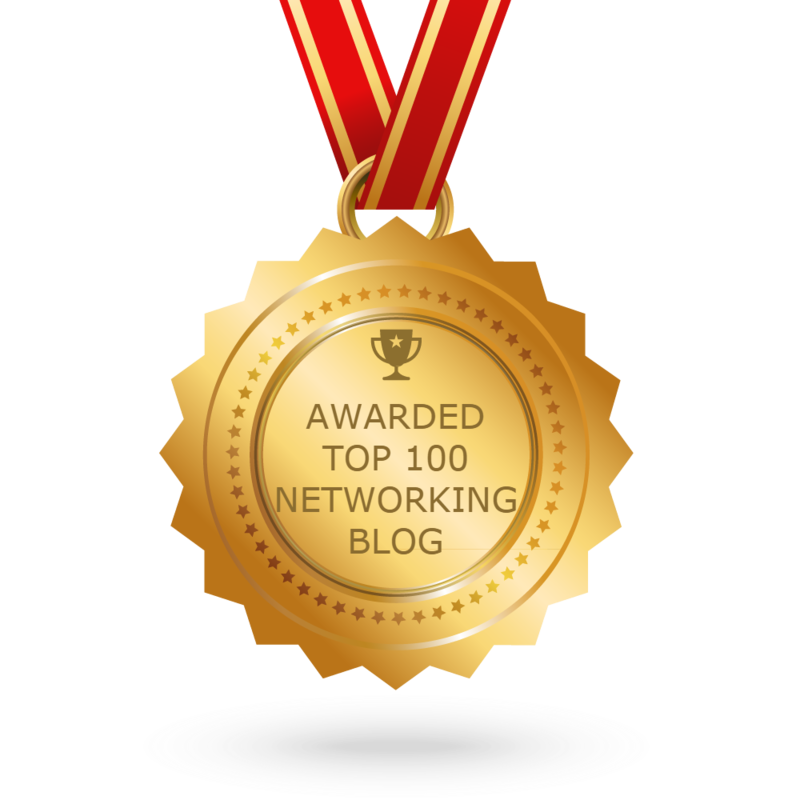 Most network users may have confusion that how to select an access point model. Pricing? Performance? Feature sets? Or anything else. With multiple product offerings in very similar technology space, customers are often confused with product differentiation that is almost always not apparently clear in documentation. Cisco delivered the second generation enterprise class 802.11n Cisco Aironet Access Points, Cisco Aironet 3600, 2600 and Aironet 1600. So here we list some main features and points of these“G2” enterprise class 802.11n Cisco Aironet Access Points. 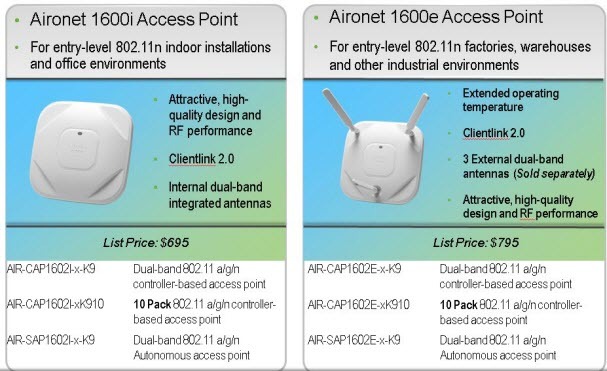 Cisco Aironet 3600, 2600 AP and Cisco 1600 series (including 600 Series APs) provide highly secure and reliable wireless connections for both indoor and outdoor environments. 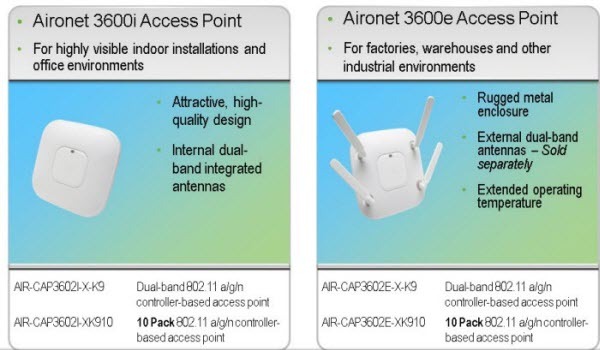 The 3600, 2600, and 1600 Series offer models with internal or external antennas. APs with internal antennas have an “i” (for example, AP 3600i) in the model number. 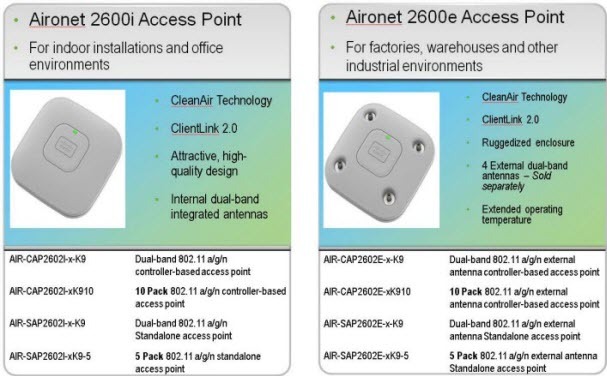 They have captured antennas, which are part of the housing and not removable, and are designed for indoor enterprise installations where office aesthetics are a primary concern. APs with external antennas have an “e” (for example, AP 3600e) in the model number. They are more rugged and are designed for industrial use in locations such as hospitals, factories, warehouses, and other locations where there is a need for external antennas or extended operating temperatures. The external antenna models also support mounting inside NEMA enclosures for use in the most demanding environments. The Cisco 3600 Series Access Point (AP 3600) targets customers who require support for mission-critical applications. The AP 3600 embodies ClientLink 2.0, an innovative antenna technology comprising four transmit radios and four receive radios called 4X4 Multiple Input Multiple Output (MIMO) and three spatial stream (3SS) beamforming, together referenced as 4×4:3. ClientLink 2.0 permits speeds up to 450 Mbps via additional Modulation and Coding Scheme (MCS) data rates 16-23, while still maintaining IEEE 802.3af (15.4 Watt) Power over Ethernet (PoE) compliance. See the section on “802.11n, Spatial Streams, and Beamforming” for more on spatial streams. The WSSI (Wireless Security and Spread Spectrum Intelligence) module adds new functionalty to the AP 3600 to protect customer investment. This optional, add-on module provides a dedicated monitor radio to scan the full spectrum, not just the channel on which the AP operates. It offloads complete monitoring and security services to the monitor module, including CleanAir, WIDS/WIPS, Context-Aware Location, Rogue Detection, and Radio Resource Management (RRM). The WSSI module allows for full spectrum analysis on all channels on both the 2.4 and 5 GHz bands. It avoids the need to deploy a separate, dedicated overlay network for full spectrum monitoring and eliminates the need for an extra cable pull and additional infrastructure costs. The second available module provides 802.11ac (wave-1) functionality to the AP 3600. This radio module operates at 5GHz and allows the AP 3600 to fully support 802.11a/n along with 802.11ac clients. (Wave-1) functionality supports a 1.3 Gbps PHY / ~1 Gbps MAC (throughput) using three spatial streams, 80 MHz, 256 QAM. It also supports Explicit Beamforming per the 802.11ac standard. 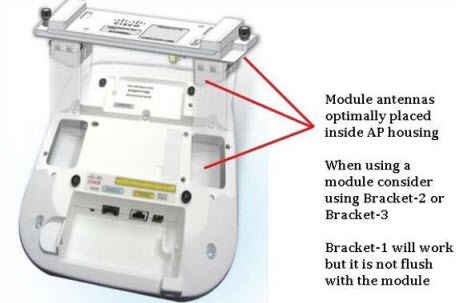 Use of the radio module may require a local power supply, Cisco power injector, .3at PoE+, or use of the Cisco Enhanced PoE because the module may draw power greater than 15.4W. Note: Cisco Enhanced PoE was created by Cisco and is the forerunner to 802.3at PoE+. 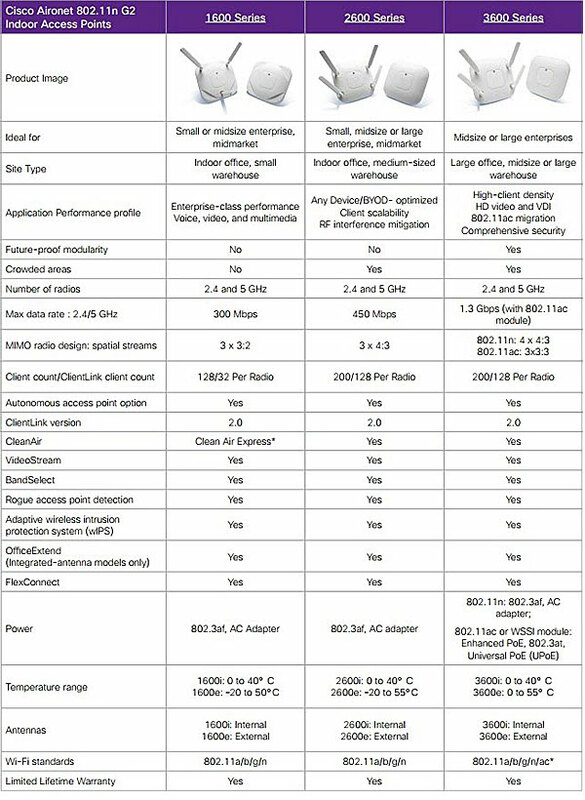 Compare the features of new Cisco Aironet 1600, 2600 series and 3600 series. How to Connect Cisco Wireless Access Point?